Thursday night is set to be livened up by these two! Throwing down the party gauntlet are returning favourites, the PHIL CAMPBELL ALL STARR BAND. The MOTORHEAD guitarist had such a great time at BLOODSTOCK last year, he’s coming back to do it all over again. Wrap your eyes and ears around these clips from last year’s fest of the MOTORHEAD classics ‘Killed By Death’: http://www.youtube.com/watch?v=jGe85gq2ZU4 and ‘Ace Of Spades’: http://www.youtube.com/watch?v=Q_4l-i_cVdY. Get ready to hold your beer aloft! Nottingham thrashers INCINERY are happy to take up the challenge, stating “Things have been stepping up a gear and the unbelievable is becoming a reality, so it is with great excitement that we return to the place that started it all for us! It’ll be a real homecoming, and we’re looking forward to playing at what is the keystone of the metal scene in the UK.” Get a free INCINERY track on the CD included in the current PANTERA cover issue of Metal Hammer magazine, or visit http://www.reverbnation.com/Incinery for tunes, video, and more info! By name but not by nature, DIABOLICAL will bringing their unique brand of Swedish death metal to the Sophie Stage on Friday. They declare, “It is with great pleasure that we announce our appearance at BLOODSTOCK! Rest assured we will take equally great measures to make this a highly memorable show!” The band recently released new concept album ‘Neogenesis’ via ViciSolum Productions. 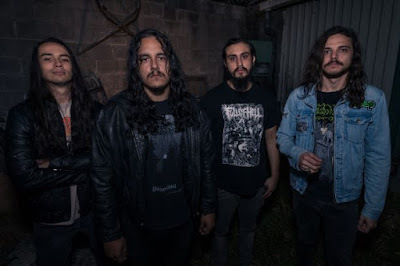 Investigate via Terrorizer mag’s preview at: http://www.terrorizer.com/news/streams/diabolical-stream-new-album-neogenesis-terrorizer/ and check out the video for ‘Metamorphosis’ at: http://youtu.be/1cGOG_kPXZg. BLOODSTOCK is also pleased to add Mancunian black metallers, WINTERFYLLETH to Friday’s line-up. For a taster of their current album, ‘The Threnody of Triumph’, head over to http://www.youtube.com/watch?v=5NEgZ5x7D-I to hear the epic ‘A Thousand Winters’. The band have also just released a split EP with cult Ukranian band DRUDKH, premiering it online at: http://www.metalhammer.co.uk/news/exclusive-winterfylleth-preview-new-trve-kvlt-cover-version/. Get the lowdown on upcoming plans on their official site: http://www.winterfylleth.co.uk/. Southwest metal band CAMBION are determined to get heads banging on Friday. Drawing their djent/tech/prog influences from the likes of Fear Factory and Meshuggah, the band commented, “We are beyond happy to be playing the best UK festival, BLOODSTOCK! 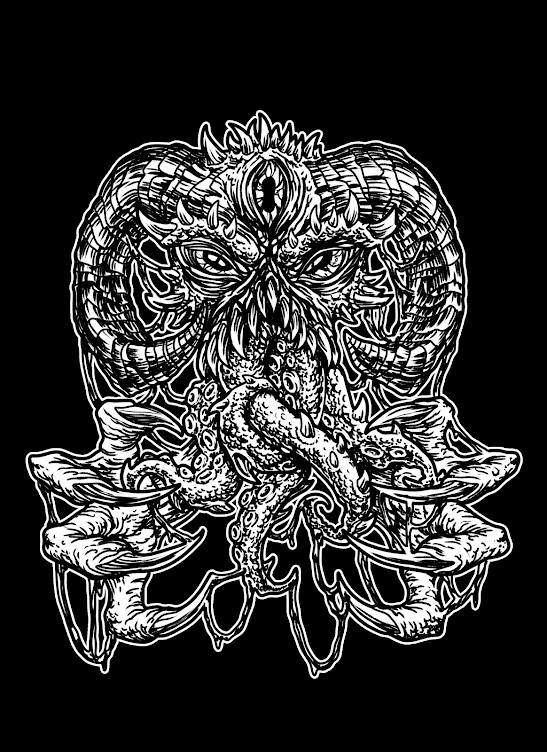 CAMBION is growing into a force to be reckoned with and that’s down to hard graft and BLOODSTOCK itself for believing in and supporting the next generation of metal bands!” Check out their ‘Virus’ EP and more over at: http://www.cambionofficial.co.uk/. Joining them on Friday are Norwegian groove metallers, ZEROZONIC. The band couldn’t be more excited to get to play at Catton Park, exclaiming “Finally, ZEROZONIC will play a big festival outside Norway for the first time. It’s about time! Ten years of existence and three albums in we are very excited to play the amazing BLOODSTOCK. Let’s get it on!” ZEROZONIC’s current album ‘Aftersane’ has just been re-released by their new label Metal Age Productions, and the band are busy working on their fourth album. Listen to some tracks at: https://soundcloud.com/zerozonic and then learn more at: http://www.zerozonic.com/. Need a lift to BLOODSTOCK? Or driving there and want some extra cash for the empty seats in your car? BLOODSTOCK have teamed up with GOCARSHARE once more to make it easier than ever to rock out and reduce your carbon footprint at the same time. Simply register where you’re travelling to/from, or the route you’re taking, and then sit back and wait for drivers/passengers to get in touch! GOCARSHARE is integrated with Facebook, so you can check out the profiles of your possible travel buddies and they also encourage travellers to post feedback. Learn more at: http://gocarshare.com/page/about. Plus...register and confirm your journey to BLOODSTOCK 2014 with GoCarShare and they will put your name in a hat to win a pair of FREE TICKETS for BLOODSTOCK 2015! For full details and to find your ride or fill your car, head over to http://gocarshare.com/festival/bloodstock. For more travel options to the festival, including details of coaches from all over the country with Big Green Coach and shuttles from local train stations, visit: http://www.bloodstock.uk.com/pages/travel-info. 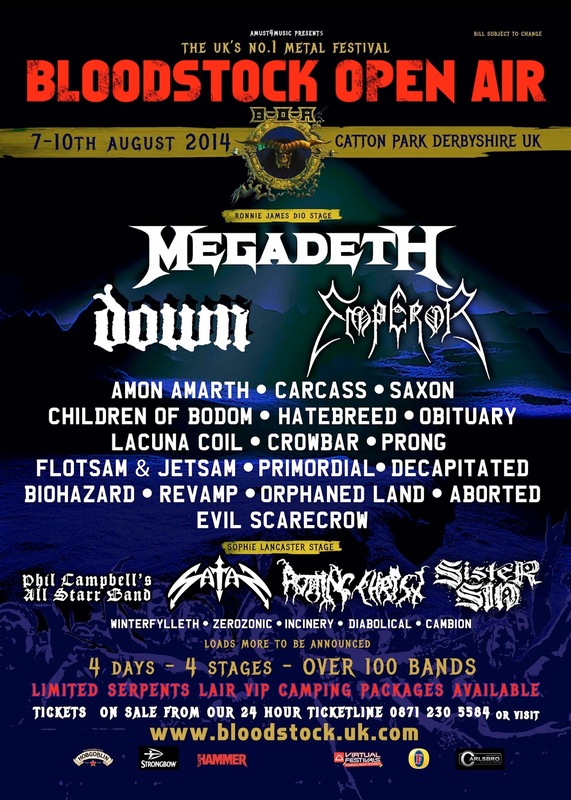 BLOODSTOCK will be held at Catton Park, Derbyshire on 7th-10th August 2014. Keep up to date with the very latest info on BLOODSTOCK’s official sites at www.facebook.com/bloodstock and www.bloodstock.uk.com.